Get ready for your Italy trip with these twenty travel phrases which will help you through out your vacation. Do you want someone to take a photo of you? Learn how to ask someone in Italian. 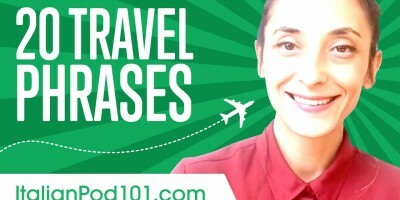 This video covers common questions regarding transportation, hotels and restaurants.